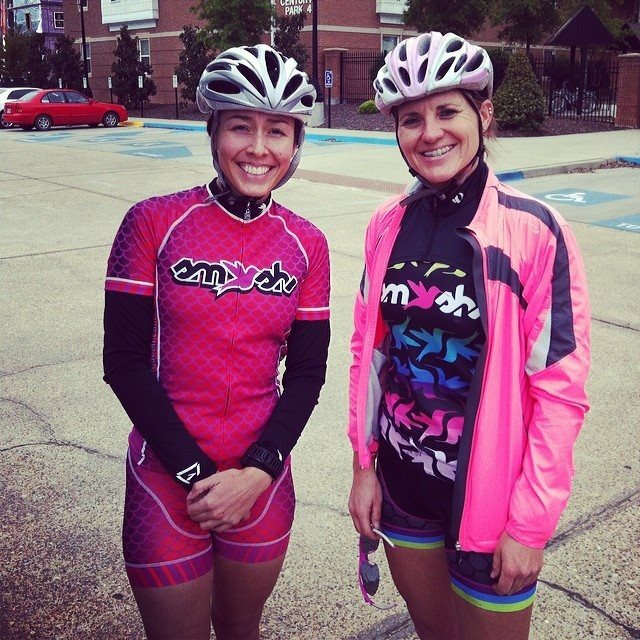 I'm constantly complimented on my tri kits and asked where I get them. It's no secret! Smashfest Queen!! Not only do I love love love the bright colors and girly designs, Hillary Biscay (founder with Michele Landry) is absolutely fantastic!! Christina actually found the kits (Fast n Loud) and we bought matching sets for Rev3 Cedar Point. I was instantly hooked to the cuteness. As soon as a new kit came (comes) out, I jumped (jump) on it. I'm growing quite the collection (another guilty pleasure??). You have to check out their website and read about Hillary. She's AMAZING. 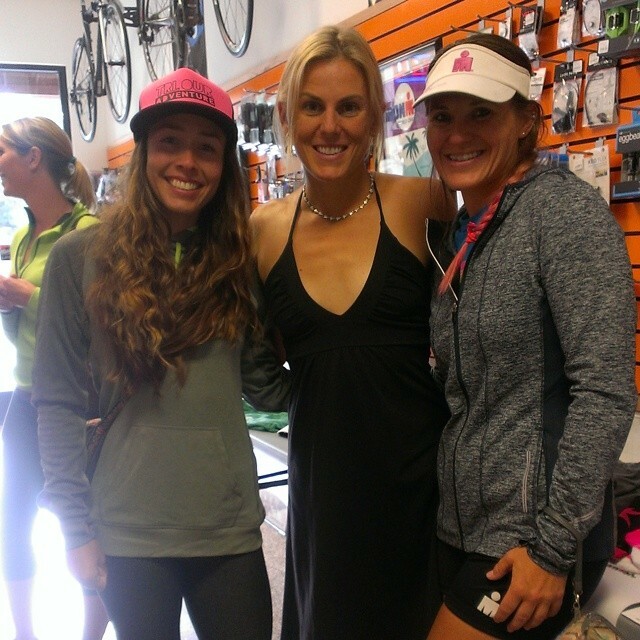 A top notch triathlete. 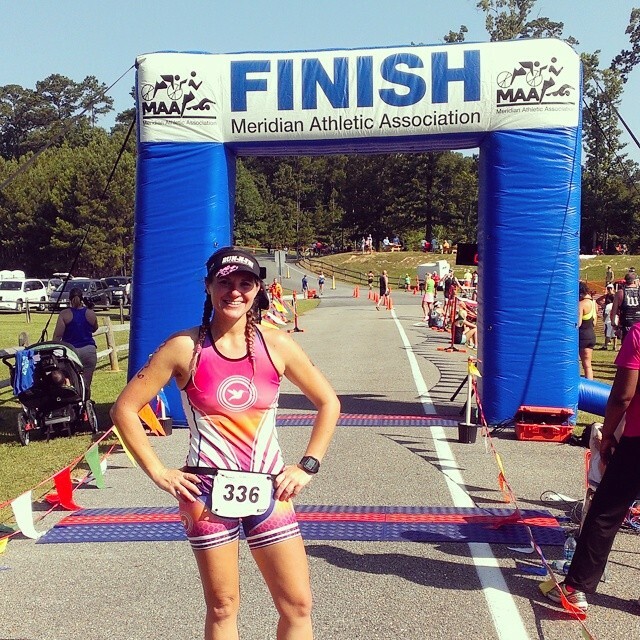 She's competed in 57 ironman tri's and finished 2nd in the 2010 Ultraman World Championships (6.2 mile swim, 261.4 mile bike, 52.4 mile run - and YES, this race is in my future!!). 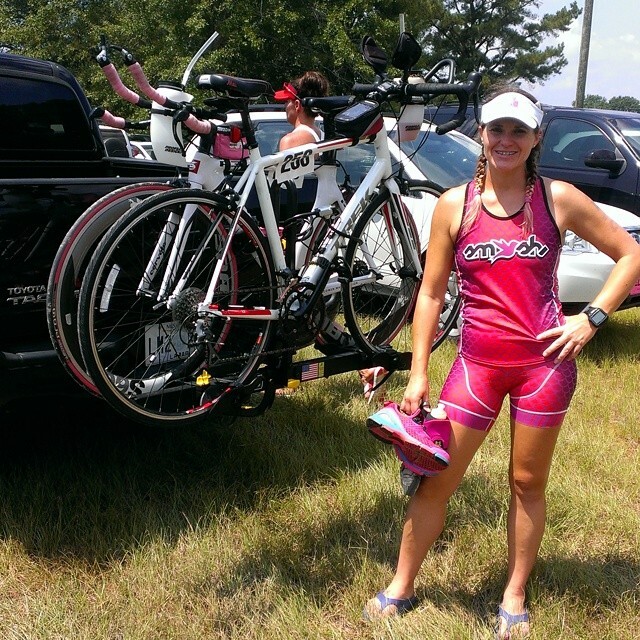 Her friend and partner Michele has quite the impressive triathlon resume as well. Before I even met her, I always received HAND WRITTEN notes with my order thanking me for the purchase. Now I feel like we are BFF's!! She writes a note with each purchase and now they're PERSONALIZED! She remembers me from Cd'A!!! Can you say star struck!! ;) hee hee. She truly is a beautiful person. 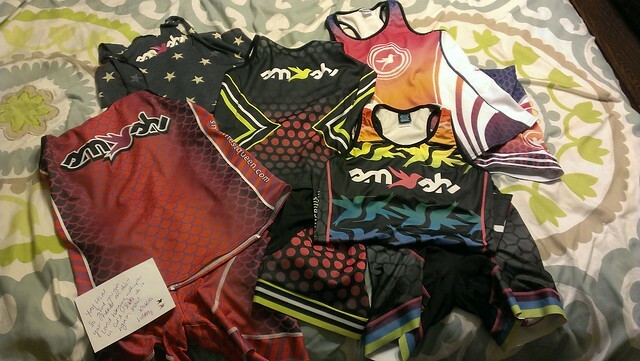 So anyway, I wanted you to know a little bit more about my tri kits and Smashfest Queen. They are absolutely FANTASTIC and ADORABLE! !